Washington, NC is located on Route# 17S. We were headed North on 17 and I caught this from our car. 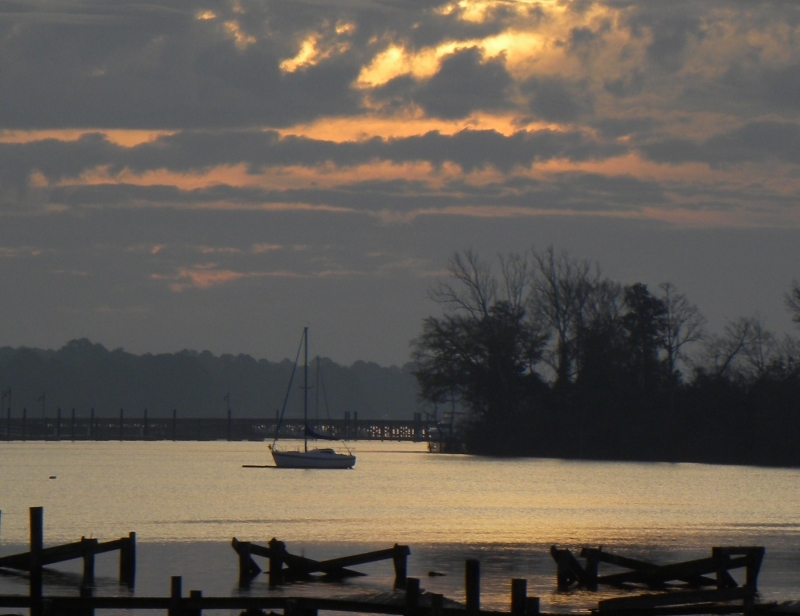 Photo of the morning sunrise over the Pamlico River with town of Washington in the background.